Walding, LLC has represented banks, corporate clients and other entities in a variety of scenarios. While a workout of a loan relationship is usually the best solution for both lender and borrower, many times a borrower will seek bankruptcy relief in order to restructure its obligations (chapter 11) or liquidate its property (chapter 7). 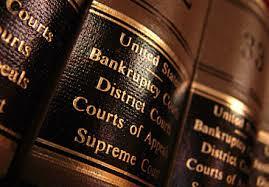 Walding, LLC has years of experience handling bankruptcy cases. This includes negotiating cash collateral orders protecting a lender’s cash collateral, negotiating adequate protection for the use of a creditor's other collateral, negotiating and participating in sales of real and personal property conducted under the Bankruptcy Code, negotiating treatment under a chapter 11 plan of reorganization and defending preference actions for recovery of payments received by creditors prior to the filing of a bankruptcy case. The cases below scratch the surface of the firm's experience and capabilities to navigate the particularities of the bankruptcy code in advocating for its clients. Adams Produce Company, 12-2036, Northern District of Alabama: Although there was no certainty of reimbursement for its fees and expenses, Walding, LLC represented the former employees of Adams Produce Company that were terminated from their jobs upon the filing of bankruptcy - leaving former employees with unpaid wages for the 3 weeks prior to the filing of the bankruptcy petition. By utilizing an ad hoc committee of former employees, Walding, LLC achieved over a 90% recovery for unpaid wages for former employees. Merritt & Walding Properties, LLP, 11-2322, Southern District of Alabama: In a bankruptcy for a limited liability partnership, Walding, LLC represented one of the secured creditors in negotiating adequate protection payments to be received by the lender during the transfer of the secured claim between two unrelated entities. Later in the case, the firm negotiated a resolution enabling the debtor to sell certain property encumbered by a disputed mortgage and secured and negotiated the sale of a shuttered convenience store and carwash. All of this was achieved while enabling the debtor to continue operation of other properties to maximize the secured creditor's recovery and enable the debtor to operate a more efficient business after bankruptcy. Reflections Carwash, 11-33377, Middle District of Alabama: During the course of pre-bankruptcy negotiations and workout, the firm represented a secured creditor in acquiring a deed in lieu of foreclosure that was never recorded. The debtor eventually filed bankruptcy and the firm successfully advocated to the court that the deed in lieu of foreclosure exempted the described property from the bankruptcy estate. This allowed for a consensual plan and resolution regarding the ultimate disposition and management of the property. Troy Plaza and Midtown Carwash, 12-12151 and 13-11012, Middle District of Alabama: Troy Plaza initially filed bankruptcy and attempted to invoke its automatic stay to prevent the firm from foreclosing on the Midtown Carwash real property. Due to Walding, LLC's efforts, the bankruptcy court found that the automatic stay of a related entity did not extend to another entity due to the facts of the case, which resulted in Midtown Carwash filing for bankruptcy protection. This strengthened the secured client's ability to negotiate for ultimately acceptable treatment in a plan of reorganization. Kleen Air Research, Inc., 11-80145, Northern District of Alabama: Walding, LLC represented a secured lender in negotiating a cash collateral order for protection of the lender’s interest in accounts receivable and other collateral. Just B Incorporated, 09-81524, Northern District of Alabama: The firm represented a secured lender in an auction of commercial real estate and equipment conducted through bankruptcy court. Lambert Properties, LLC, 09-14987, Southern District of Alabama: Walding, LLC succeeded in persuading the debtor to voluntarily dismiss its bankruptcy after the firm filed a motion to dismiss based on the case involving a single asset of real estate case, which was filed on the eve of a foreclosure sale for said property by the sole creditor in the bankruptcy. Watts, 09-30663, Middle District of Alabama: The firm served as counsel for a member of a 3 creditor unsecured creditor committee that worked to preserve the value of a guarantor’s ownership interest in various limited liability companies for the benefit of all creditors in the bankruptcy case through conversion to chapter 7 from chapter 11. Fordham, 08-13761, Southern District of Alabama: Walding, LLC negotiated treatment of lender in chapter 11 bankruptcy case whereby debtor retained interest in commercial property owned for income purposes from lease payments. In addition to representing lenders in regular bankruptcy proceedings, we have represented creditors in adversary proceedings initiated in bankruptcy courts in Alabama and other jurisdictions in defense of “preference payments”, which are payments received from a debtor prior to filing bankruptcy.